CloudAmp Analytics Dashboards lets you easily see top level metrics from your Google Analytics account, right inside of Salesforce. 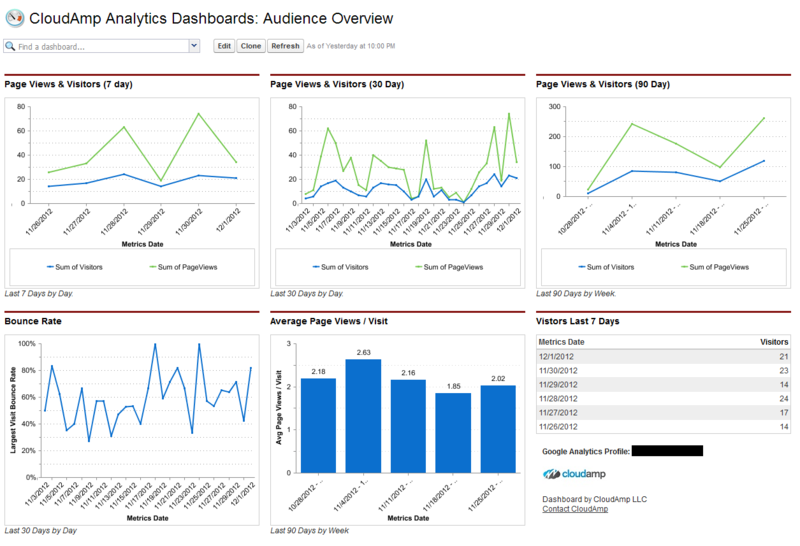 Now you can have better visibility into how your web analytics relate to leads or other activity in Salesforce.com, and see the top of your marketing funnel - web site visitors. Viewing your web site metrics alongside your other marketing and sales dashboards enables you to spot trends faster, increase revenues, and improve marketing ROI. Just log in once to your Google account, pick the Google Analytics web site profile you want, and that's it!